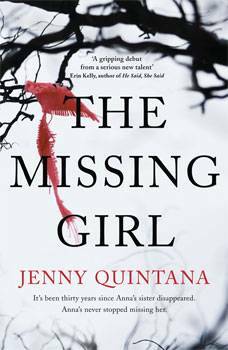 When Anna Flores' adored older sister goes missing as a teenager, Anna copes by disappearing too, just as soon as she can: running as far away from her family as possible, and eventually building a life for herself abroad. Thirty years later, the death of her mother finally forces Anna to return home. Tasked with sorting through her mother's possessions, she begins to confront not just her mother's death, but also the huge hole Gabriella's disappearance left in her life - and finds herself asking a question she's not allowed herself to ask for years: what really happened to her sister? With that question comes the revelation that her biggest fear isn't discovering the worst; it's never knowing the answer. But is it too late for Anna to uncover the truth about Gabriella's disappearance?